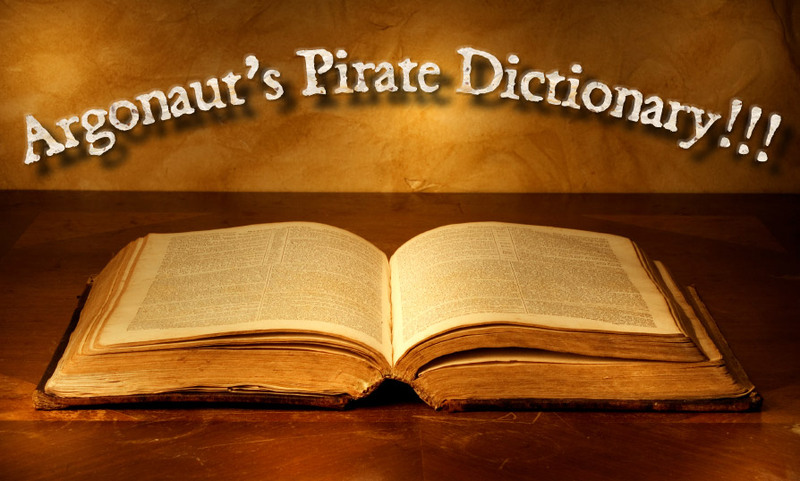 For the last two days I’ve been working on our very own Argonauts Pirate dictionary. This was actually a lot of fun to work on, though some parts were tedious, like going through and formatting the words and parts of speech. While other parts, like looking up phrases and words not already at my command and rewording the definitions I had when I fully understood them, we’re lots of fun. 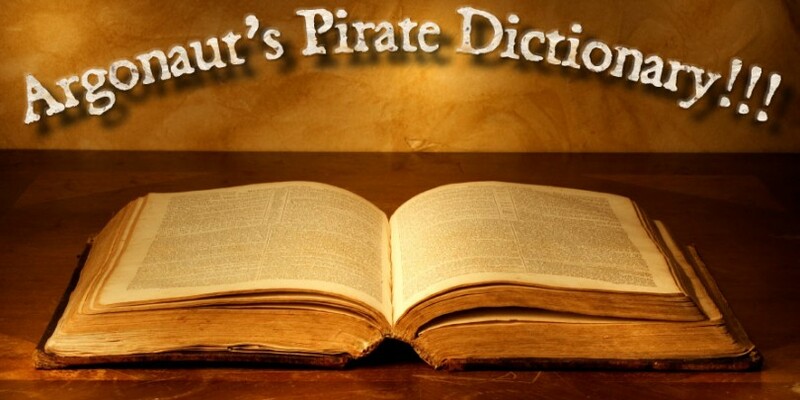 The dictionary started off as a kind of joke, being something we created to give definitions to the curses and profanity we make up along the way…But then we talked about it some and decided to turn it into an all-out nautical and pirate phrasebook and dictionary and thus, the project began in earnest. From Addled to Wench, I put in everything I could think of, including a few new terms and phrases I’d never heard, like ‘Kissing the gunners daughter.’ not to mention some who’s definitions I was fuzzy on, like ‘Keelhaul’. Anyway I worked hard on it and I hope everyone takes the time to check it out. I even put a contact form at the bottom to submit new words to be added. 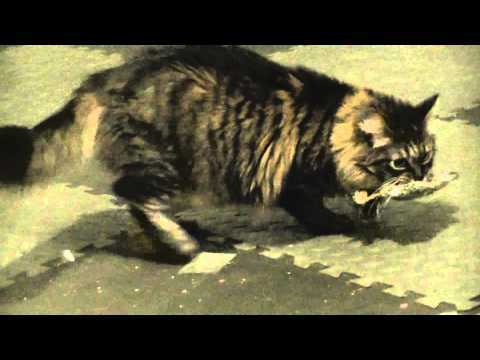 I was also able to do a complete rewrite of the script for the Kickstarter video. We’ll be ready to take our first pass at that soon and then begin adjusting it before a reshoot. I’m going to try to push all that through within the next few days so we can get it up and have it ready for the page to go live soon. In the meantime Dave has been pulling double shifts working on the Documentary Outline and overall website layout. I’ve also seen him tinkering around with the logo quite a bit and I’m pleased with the result he had to show for all that hard work. Everything comes together more and more every day. I can’t wait to see what else we can accomplish tomorrow.